VILLAS AND APARTMENTS TO RENT IN BOLOGNA, ITALY. 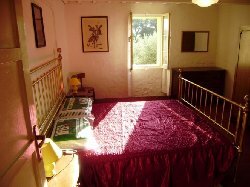 Welcome to our selection of holiday homes to rent in Bologna, Italy. Bologna is the historical capital of the Emilio-Romagna region, located in the Po Valley region of northern Italy. As well as being the home of the famous Bolognese recipe for spaghetti, the town is also famous for its museums, galleries and the pair of high towers in the city centre that once formed part of a ring of defensive structures. There is more than enough in Bologna to keep visitors entertained for a long weekend, despite it not being one of the traditional tourist destinations in Italy. The highlight of any visit to Bologna are the two huge towers that stand in the Piazza Porta Ravegnana. The towers of Garisenda and Asinelli were once part of a defensive wall that numbered a hundred similar constructions in the 12th century. Although you will stumble across other towers or their ruins on your travels around Bologna, these two are the most impressive and best-preserved examples in the city. The Garsienda Tower is too unsafe to be climbed, but the Asinelli is open to visitors all year round � but be prepared for the 498 steps that will take you to the top. The city's other main square, the Piazza Maggiore, is also worth visiting, despite its lack of towers. There you can visit the Basilica di San Petronio, one of the most important churches in Bologna, and home to some beautiful examples of religious art. Made of pink marble and white bricks, the exterior is just as impressive, and features carvings of figures and scenes from the Bible. There are many museums in Bologna, and there is bound to be one that caters to your particular interests. The city's archaeological museum is world-famous, containing fine examples not only of Etruscan art, but also Egyptian, Roman and Greek artefacts. The National Picture Gallery is located within the old university buildings and features works by local artists through the centuries. The University Museums are much more than just paintings, though, with others dedicated to naval and military history and astronomy. It may not be a traditional tourist attraction, but those with an interest in more recent history should visit the city's main railway station which was the scene of one of Italy's worst terrorist attacks in 1980. Eighty-five people died and over 200 were injured when a bomb, now thought to have been planted by Neo-Fascists, exploded in the morning rush hour. In their memory, a crack in the pavement and a large crack in the station wall have not been repaired and the station clock has been stopped at 10:25am, the moment the bomb exploded. Looking for self catering holiday accommodation in Bologna? Then below is a selection of Apartments in Bologna and villas in Bologna that can be rented direct from their owners. You can either click on each listing for further details or you can use our search engine on the left if you are looking for something in particular.